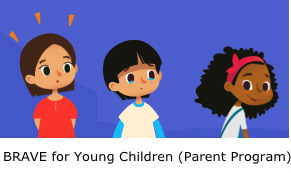 BRAVE is an interactive, online and evidence-based cognitive behavioral therapy (CBT) program for the prevention of anxiety for children and teenagers, with complementary programs for their parents. Young people and their parents can complete the program either on their own or with the guidance of an ‘online therapist’, who assists them where necessary. Online therapy works! BRAVE was developed based on strong empirical research over 12 years. The BRAVE Team has completed a series of studies examining the use of the BRAVE program with children and teenagers of various ages, all showing extremely promising and overwhelming positive results. The BRAVE Self-Help program is currently ONLY AVAILABLE IN AUSTRALIA. Click on "Read More" to access it. This only works if you are in Australia. We are working on ways to make BRAVE available outside Australia. Check back here from time to time for updates. 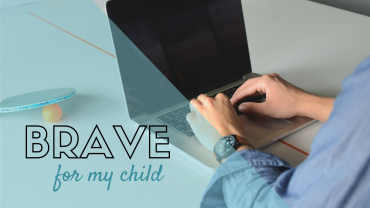 Click here if you would like to make a tax-deductible donation to support BRAVE-ONLINE.